Vincent studied at UNSW Optometry and graduated with first class honours. In his final year of optometry he was elected to go on a placement at OMNI Eye Centre in New York, USA, to work alongside ophthalmologists to treat and manage ocular diseases. He also completed a research project evaluating referral pathways in Australia for patients with pigmented fundus lesions. He is passionate about providing the best possible eye care for patients in all aspects of optometry. He has special interests in ocular pathology, specialty contact lens fitting, myopia control and children’s vision. He is therapeutically endorsed, so he can prescribe ocular medication to treat and manage glaucoma and red eye pathology. 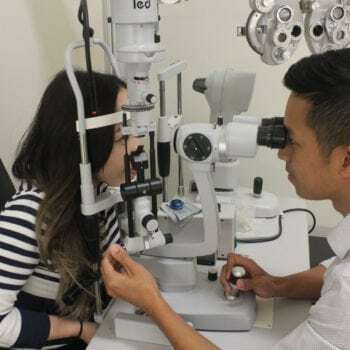 Vincent volunteers for Vietnam Vision Project Australia in his spare time to provide free cataract surgery for underprivileged communities in Asia.